Larvik is a harbour at the south-east coast of Norway. The shoreline was protected with various strongpoints and coastal batteries. Jacco Barth paid a visit to the area in 2012. We make a start of this area with his pictures. 1. The coastal battery Rakke was manned by 3./980 H.K.A.A. and had four Belgian guns type K 370(b). Beside the operational duty, it was also used for training purposes. 2. Six kilometers to the west are traces of what seems to be a Landfront. They are near the cemetery of Manvik. 3. 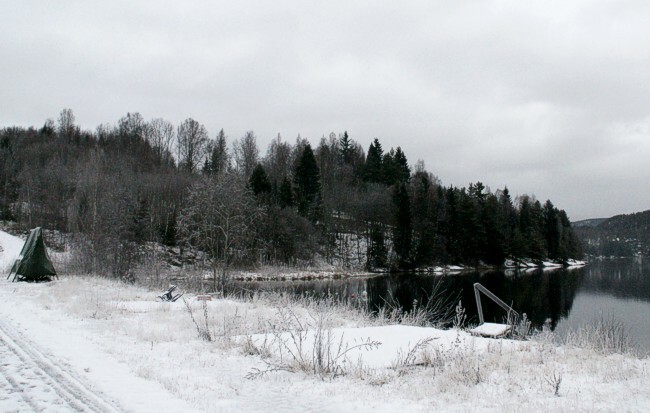 The lake Norsjø lies west of Skien. This major shipping route has an adjacent road, the Ulefossvegen (36). Follow this road for some kilometers from the airport at Skien to the west and you find the Vf for Mg and meters of concrete trenches. At the borders of the lake Norsjø.